Raffertys Resort is the perfect place to mix business and pleasure with a retreat style conference. Everything you could want to reward your staff. Raffertys can cater for a day conference to a week long stay with plenty of variety with venues, dining experiences and team building room. All conference rooms are air-conditioned, have plenty of natural light and equipped with your audio visual requirements. Located 90 minutes from Sydney on beautiful Lake Macquarie, Raffertys Resort is nestled on 35 acres of bushland with 180 degree water views. Plenty of room for work and play. 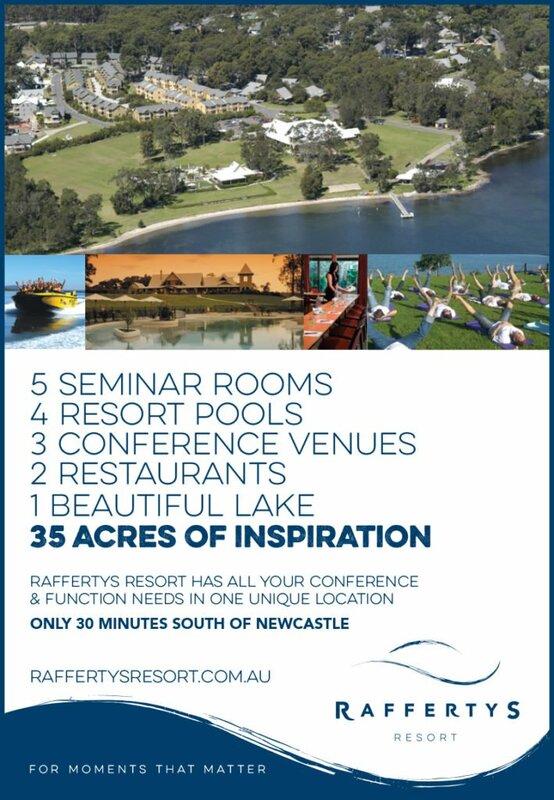 Raffertys Resort is situated on a narrow peninsula between Lake Macquarie and the Pacific Ocean, an easy 90 minute drive north of Sydney or 30 minutes south of Newcastle and the perfect destination for your next conference or retreat. Join our mailing list to receive special offers and the latest news and updates from the Raffertys team.